This page holds all of the 'ghost photos' we have taken on our travels. It also holds photos sent to us by others from around Australia and further afield. If you have a photo that may qualify for a position in this archive, you can send me a message and attach the photo to the mail here, or we can sort out some other arrangement. But first, here is an example of what you can expect if you decide to take a few snapshots of your own. Ectoplasm: This is an example of 'Ectoplasm'. It will usually turn up as a 'milky/misty' substance in the photo, and cannot usually be seen when the photo was taken, although it can sometimes be seen when the flash of the camera goes off. It is recommended that when one is attempting to take 'ghost photos', they refrain from smoking as the smoke may show up as 'Ectoplasm', as well as fog or exhaled breath if conditions are cold. 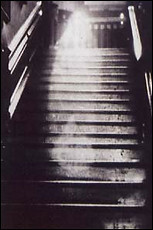 Apparitions: This is an example of the general portrayal of ghosts in films and books. Many people believe that ghosts will appear in a form not unlike that of a real person, except for the fact that an apparition is partially see-through. It is the general belief that this is the most common form a ghost will take, however this form is fairly uncommon. However, if you manage to capture the image of a ghost like this one here, either you are very lucky, or you are a photographer who enjoys long exposure photography. In this method of photography, the shutter is left open for a longer period of time (e.g. 10 seconds) allowing the subject in the photo time to move about giving a blurred ghostly effect. Therefore, it is quite easy to fake such a photo. 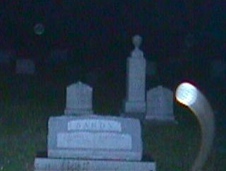 Orbs: This is an example of an orb. These are fairly common and show up in photos as balls of light that may be either solid or partially see-through. 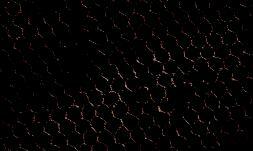 These balls of light, or 'ghost lights' as some call them, are formed from the evolution of vortices. When one is taking photos, these balls of light may be visible to the photographer, or may only turn up in the photo. 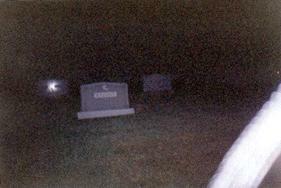 This orb is in motion, hence the tail streaking behind it. Vortex: This is an example of a vortex. Many people put this down to a stray camera strap, however a vortex may twist erratically in the photo or the end may be visible, which cannot be explained as a strap. Vortices are formed as a result of swirling columns of Ectoplasm and are common in the right hand side of photographs - hence the belief they are merely stray camera straps. But when was the last time a camera strap showed up horizontally across a photo after twisting three times in the centre? Not many! Click on each picture to take a peek at what we have to offer. If you would like to use any of these photos, please email me with a letter requesting permission to use the picture. As long as you follow this procedure, you will most probably be allowed to use the picture - all you have to do is write.